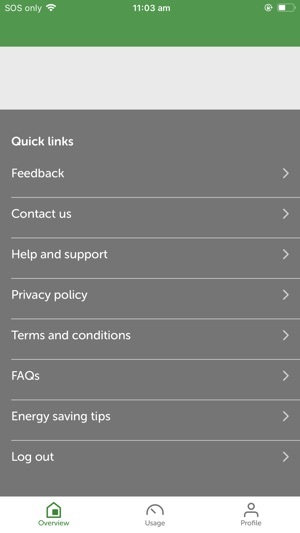 The new EnergyAustralia app empowers you to take control of your energy accounts. 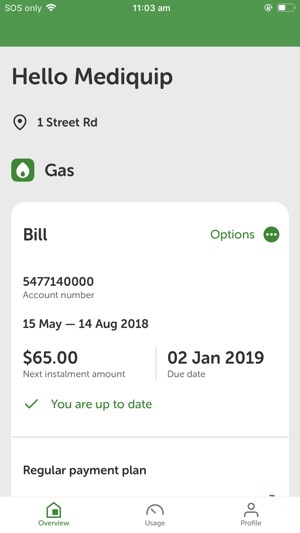 Using the same log-in as EnergyAustralia’s ‘My Account’ portal, the EnergyAustralia app provides a seamless experience to manage your energy accounts. The intuitive interface helps you to manage your payments and personal details, while monitoring your energy usage and learning how to keep your bills down. View your current bill, including payment information, what's due to be paid and any discounts you receive. Easily pay your bills in one click or request a payment extension if you need a bit more time. 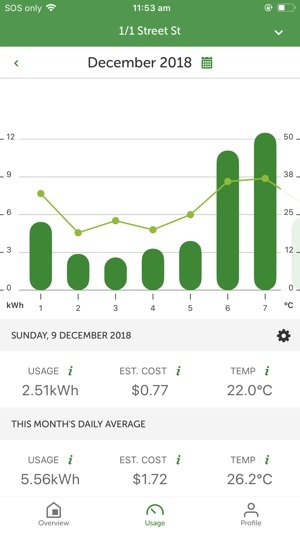 If you’re an electricity customer with a smart meter, you can view and monitor your energy consumption in the usage graph. The graph helps you understand your energy usage over time. The low and high usage alert badges on the graph help you learn when you’ve kept your consumption down or gone a little over your own average. You can also overlay weather data on the graph to see if the temperature may have affected your energy usage on any given day. Additionally, the year-on-year comparison option helps you measure up your usage this year with the same time last year. Usage a little higher than expected? We have a variety of energy saving tips for your household to help you keep your energy usage on track and bills down. No need to call us to update your details. Simply open the app and update, add or remove any contact details. You can also tell us how you'd like to receive bills and how you like to be contacted. The EnergyAustralia app will continue to grow, change, improve and adapt. That’s why we need your input and feedback. If you have any suggestions for new features or things that could be improved, or would like to report a problem, please email us at mobileapp@energyaustralia.com.au. Alternatively, you can complete the Feedback Survey found in the app’s side navigation menu. We did a thing in the background that you’ll probably never notice. It makes it easier for us to tell you about outages and stuff and when things aren’t going exactly to plan. Because it’s better to know about these things in advance than it is to rock up to a party on the other side of town only to find out it’s been cancelled and you were the only one who didn’t know about it. How embarrassing. Doesn’t show running total of up Coming bill only per day usage. So much more they could have done like other energy providers apps they need to learn off Simply Energy because clearly they developers of this app lack skill. Looks like it’s put together by a year 6 student. Not impressed at all and despite giving feedback to EnergyAustralia directly months ago not a thing has been done so don’t hold your breath on any updates making you go wow that’s good. It will only lead to disappointment. Up your game EnergyAustralia and get with the program. Dear oh dear energy Australia. Did you get a 10 year old to design this app? I can only see usage (and no solar output at all)from 3 days ago... smart meter eh? I thought the web page was bad but crikey you guys have managed to lower the bar even further. The app crashed each time I clicked the options button after downloading only minutes earlier. Next to no information is available apart from a daily usage/cost estimate..... it’s supposed to be a smart meter in my house where you get the information from but all you give me is an estimate?? Wow, just wow. You guys do realise it is 2019 and not 2009 right? energy Australia you should be very embarrassed by this, and I mean that seriously, you should be very embarrassed. This app is very poor considering it’s from a large energy provider. The energy usage data graphs have stopped working about a week ago for some reason, when it was working the usage data shown was from several days prior so is pretty useless anyway (as you had to remember what you did on that particular day to cause a change in your energy usage). 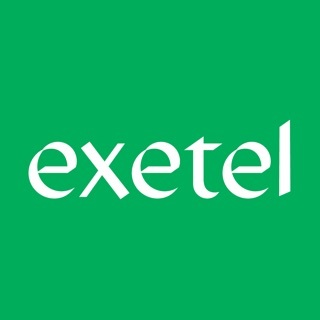 About the only good aspect of the app is that you can pay your bills and view prior ones.